The next stage in the food revolution - a radical way to select fruits and vegetables and reclaim the flavor and nutrients we've lost. Eating on the Wild Side is the first book to reveal the nutritional history of our fruits and vegetables. 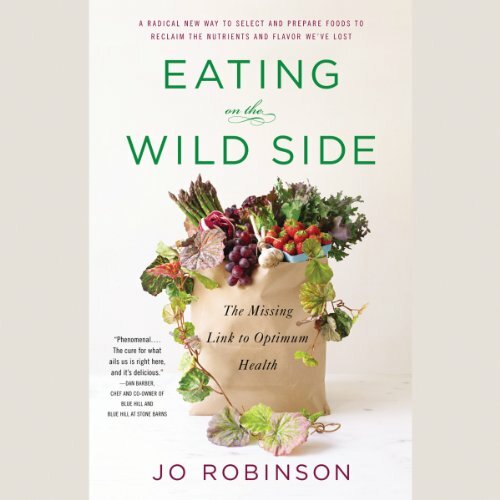 Starting with the wild plants that were central to our original diet, investigative journalist Jo Robinson describes how 400 generations of farmers have unwittingly squandered a host of essential fiber, protein, vitamins, minerals, and antioxidants. New research shows that these losses have made us more vulnerable to our most troubling conditions and diseases - obesity, diabetes, cancer, cardiovascular disease, chronic inflammation, and dementia. In an engaging blend of science and story, Robinson describes how and when we transformed the food in the produce aisles. Wild apples, for example, have from three to 100 times more antioxidants than Galas and Honeycrisps, and are five times more effective in killing cancer cells. Compared with spinach, one of our present-day "superfoods," wild dandelion leaves have eight times more antioxidant activity, two times more calcium, three more times vitamin A, and five times more vitamins K and E.
Squeezing fresh garlic in a garlic press and then setting it aside for 10minutes before cooking it will increase your defenses against cancer and cardiovascular disease. Baking potatoes, refrigerating them overnight, and then reheating them before serving will keep them from spiking your blood sugar. Cooking most berries makes them more nutritious. Shredding lettuce the day before you eat it will double its antioxidant activity. Store watermelon on the kitchen counter for up to a week and it will develop more lycopene. Eat broccoli the day you buy it to preserve its natural sugars and cancer-fighting compounds. 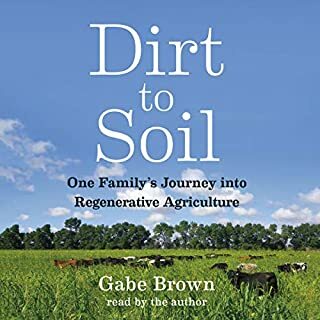 The information in this surprising, important, and meticulously researched book will prove invaluable for omnivores, vegetarians, and vegans alike, and forever change the way we think about food. This is the book I have been looking for and hoping to find for quite a while now. It offers detailed information about food choices, storage and preparation for optimal health. 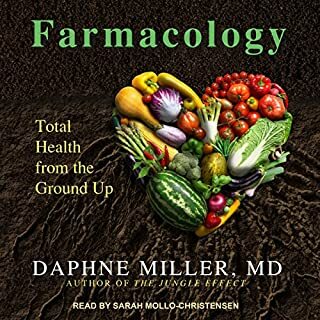 The book examines history, human physiology, chemistry, nutritional needs and dietary science through a microscope and through the lens of your life as an actual cook and consumer of food. There is even a section in each food type about growing the optimal cultivars in your garden! You can skim this, as the info is short, if you don't grow food. Be forewarned that this book is slow going in parts and dense because there is so much information presented. The author does a great job breaking it all down and makes it easy to understand and apply to your life. There are times when I felt that listening in the car and before bedtime was not the best because occasionally I needed to write down a variety name or an interesting web address. It was ok though--I just scanned back and found the info later. 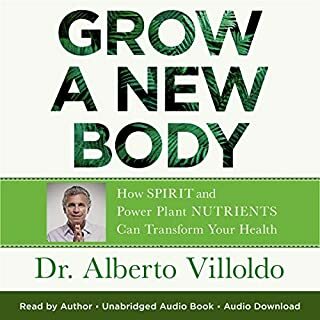 If you are trying to eat a better diet and are making changes in what you eat this book is an important source of information. Why go to a lot of trouble to add onions to your diet when in reality it matters a great deal what type of onions you need to add? This book spells out which changes make a real difference, what to pick at the store and the reason to make the change very clearly. It will completely alter the way you think about food and how you cook. Recommended listening. Well researched and full of useful information that actually changed my diet for a lifetime. truth to be told higher the antioxidants the better. still, listening to nonsense about rice making one fat is detrimental to health of anyone who follows such advice. there is not a single obese person who got that way eating rice or potatoes. 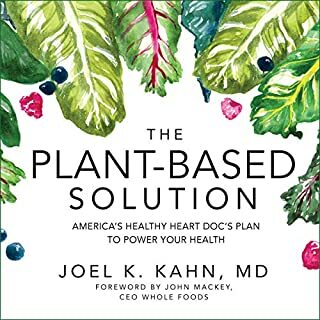 this is a book for people who wish to continue eating burgers, then add some super berry to their diet and call it a day. it may make you feel good about trying, but that's about it. you may as well go.to a vitamin store and listen to their story about the latest supplement. it will be just as useless. Great book, very well written and accessible. The narration is well done, and the format of the book lends itself to both a straight through reading and a reference to peruse. Eye opening and ultra useful! This is a book we needed a long back. 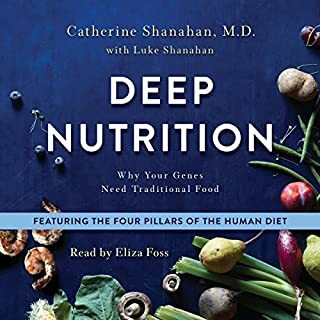 While this book doesn't delve into all the foods it could, but its a great first step (a leap actually) in the right direction. There is great information in this book. I especially enjoyed the history of our common foods and how they have been manipulated over time to make them more appealing but less nutritious. The narration is very good with occasional misses on pronunciation. I wish there were some information on squashes. Also, there is frequent mention of a PDF summary of the storage information and variety recommendations which I can't find. Highly recommended and very useful. Great book with solid and comprehensive information for anyone. The reading is well done, my only complaint would be when the narrator appears to have gotten a cold during the recording of the book. It would have been better to wait until well to complete the work. I know a lot about nutrition but this book contains tips I didn't know about. this was not a page-turner and sometimes I had to take a break from it BUT it turned Saturday morning trips to the farmers market into a treasure hunt. some surprising info ... origin of orange carrots, etc. Helpful pdf that goes to the market with me now. Would you consider the audio edition of Eating on the Wild Side to be better than the print version? No. Unless the voice in your head when you read has a cold and then I guess it would be a tie. Who would you have cast as narrator instead of Erin Bennett? 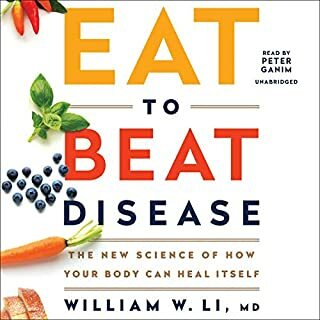 The information is interesting and useful and I was totally enjoying the book until around the 6:40:00 mark where the narrator literally developed a cold. It lasted for a few chapters (maybe 2 hours or so) which is a really long time to listen to someone with a stuffy nose read a book if you get annoyed by weird sounds. The book is good, though.